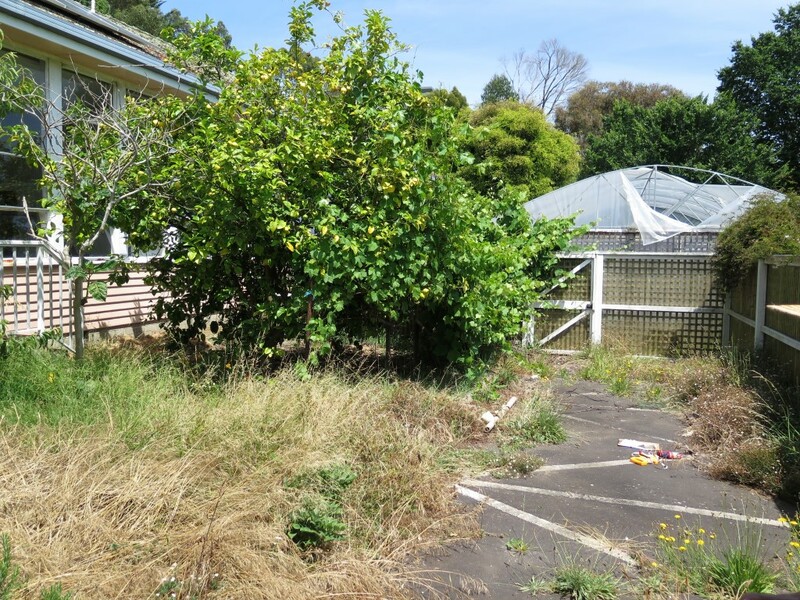 Transforming rundown spaces into beautiful, productive gardens is possibly my most favourite thing to do in the whole world. 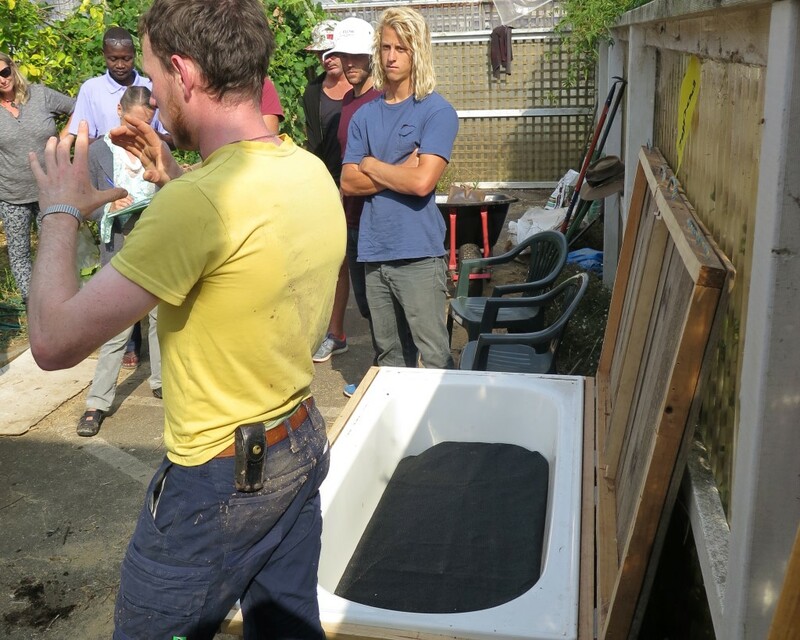 On our recent Permaculture Design Course we did just that for the Reseed Centre where we held the course, creating a kitchen garden for their kitchen and a space for their outdoor dining “room”. 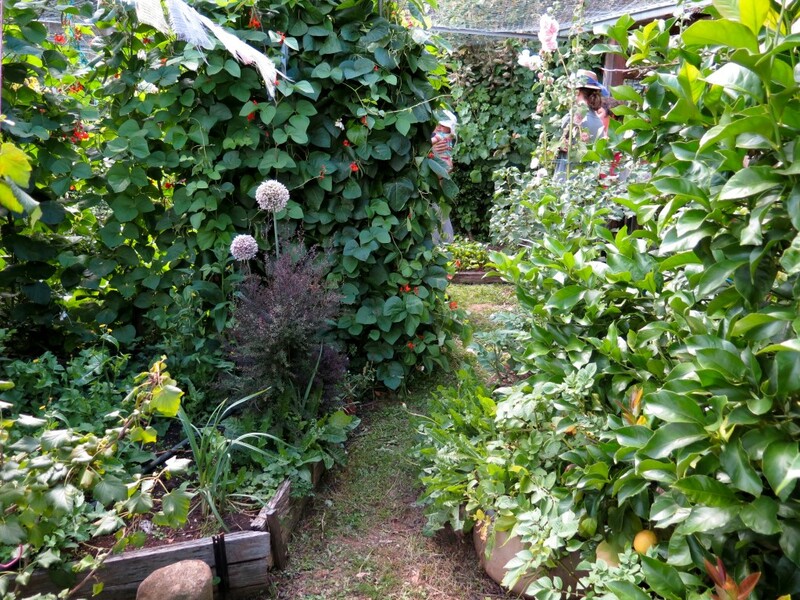 While it had been a garden in the past, it was well overdue for a good overhaul and some careful design thinking to make sure it was resilient, hardy, edible and beautiful. 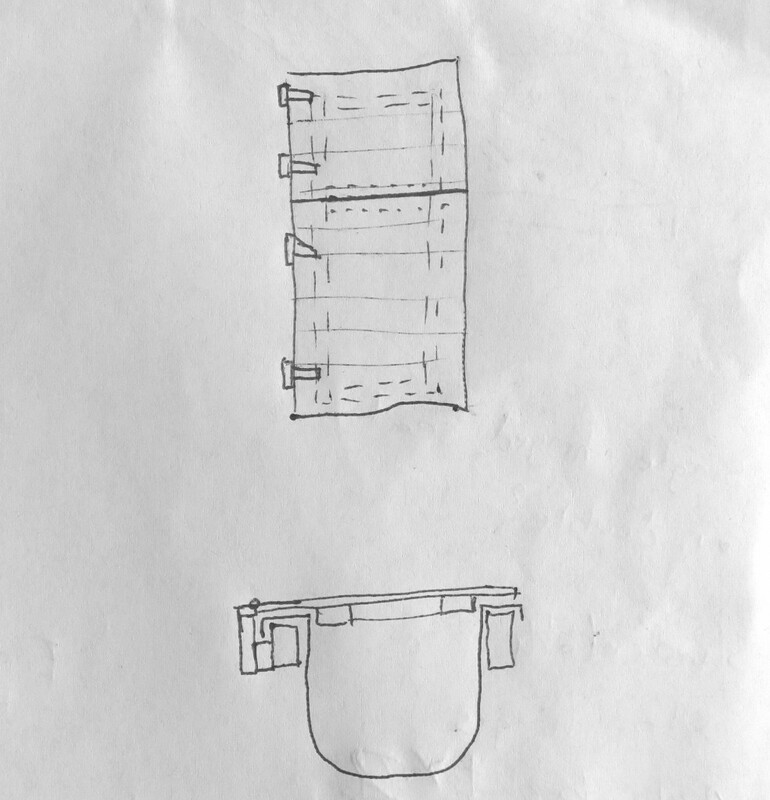 Our design sketch below is what we came up with for this space. Simple, yet full of culinary and edible herbs, existing fruit trees/vines, nutrient cycling and an outdoor space for dining. 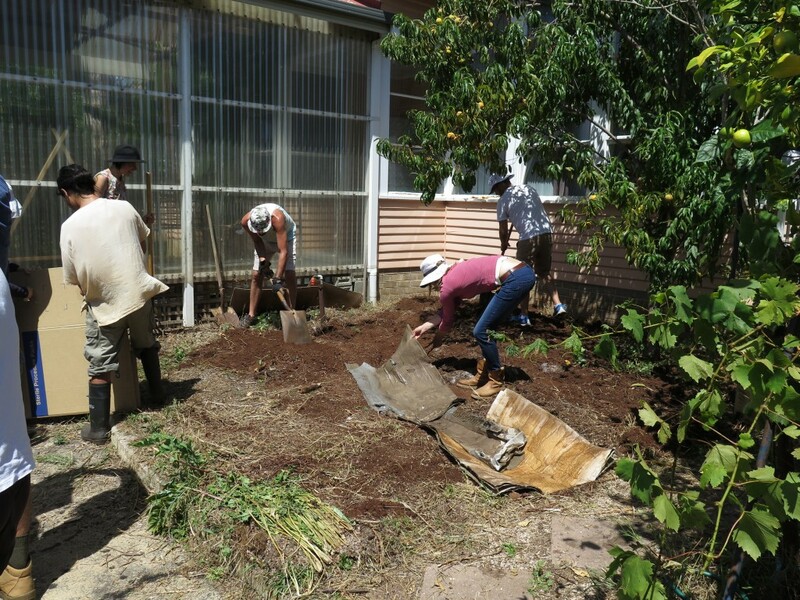 Before our PDC started, this Reseed community cleared the area, making space for us to come in and do our thing. Our first task was to make the paths to define the area we should/shouldn’t be walking. 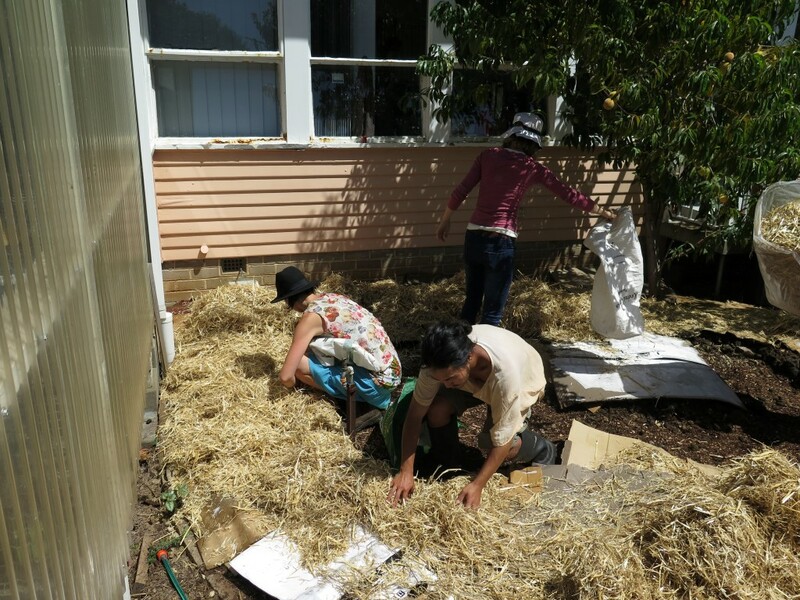 We dug a shallow ditch for this and back-filled it with a layer of cardboard and a thick layer of woodchips to prevent unwanted plants to grow and to help build soil. 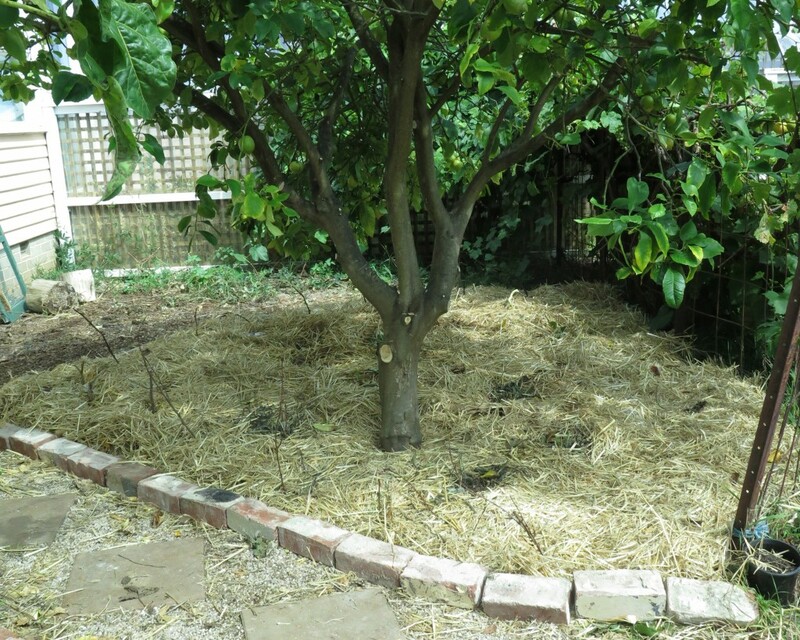 The woodchips attract fungi and over time will break down, forming beautiful humus which can then be shoveled onto the garden beds and replaced with fresh woodchips – it’s a great nutrient cycling process. 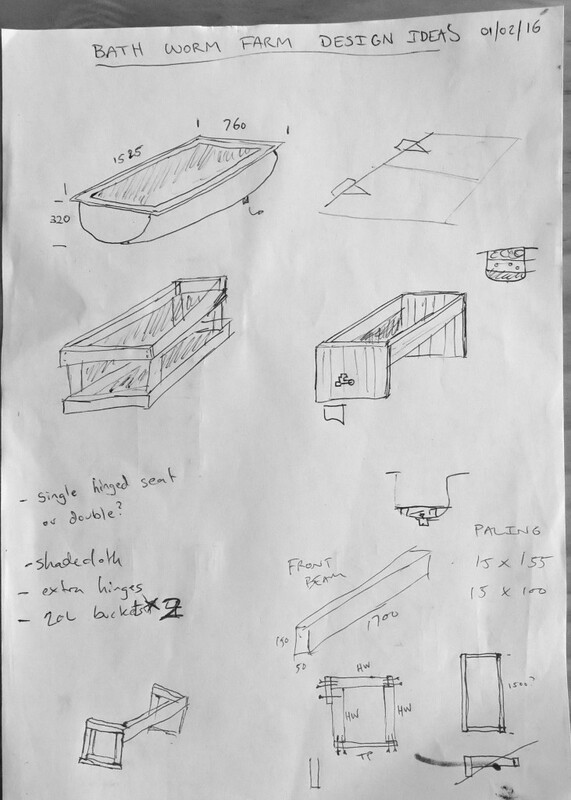 We use cardboard without sticky tape and or heavy inks, you could also use newspaper – whatever is available to you. Before we lay it down, we soak it in water to make it a lot more attractive to members of the soil food web to break down. 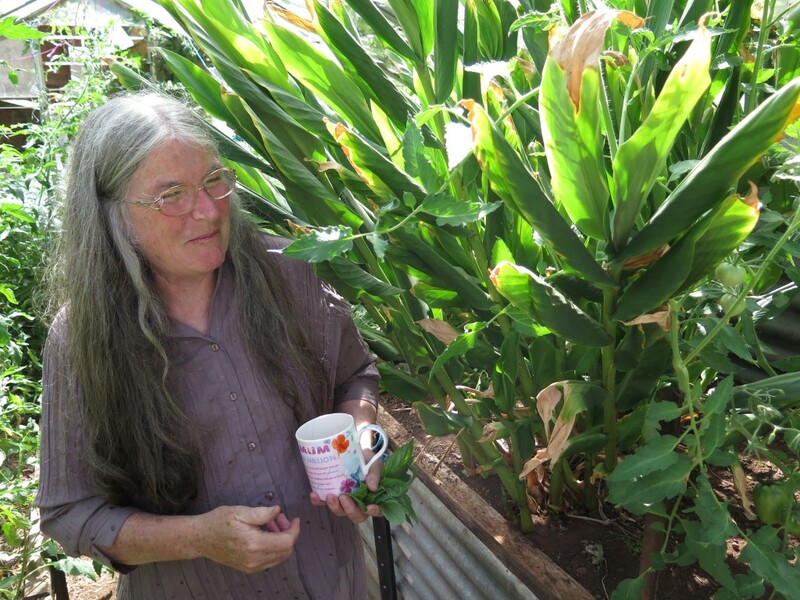 You can see Jo (below) doing a great job of this and keeping cool on a hot day – clever woman. 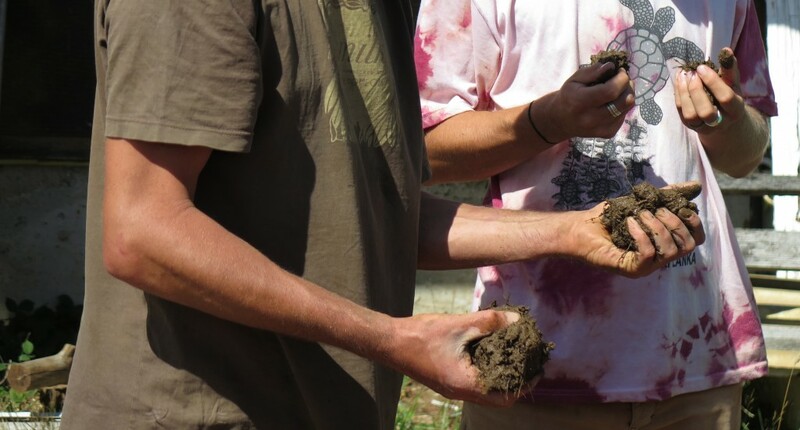 The compost layer integrates more rapidly with the existing soil. 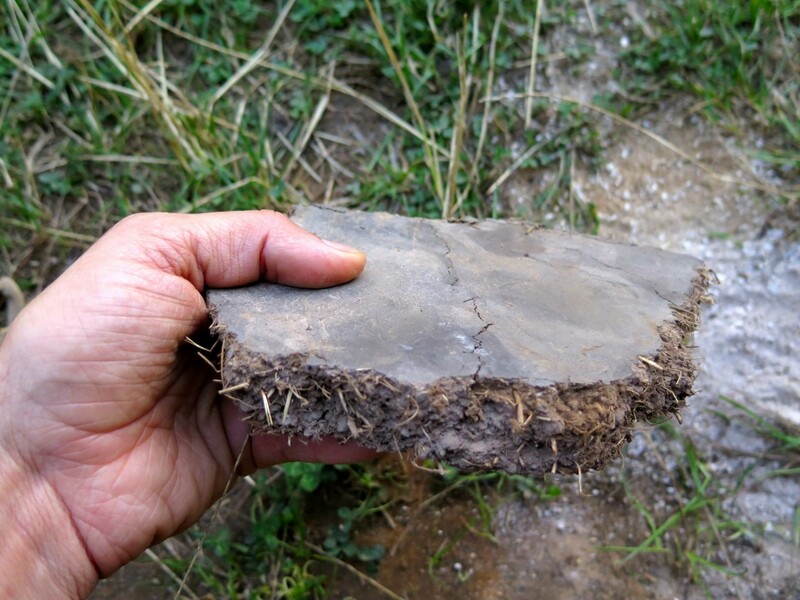 Soil flora and fauna quickly get to work without the barrier in between. 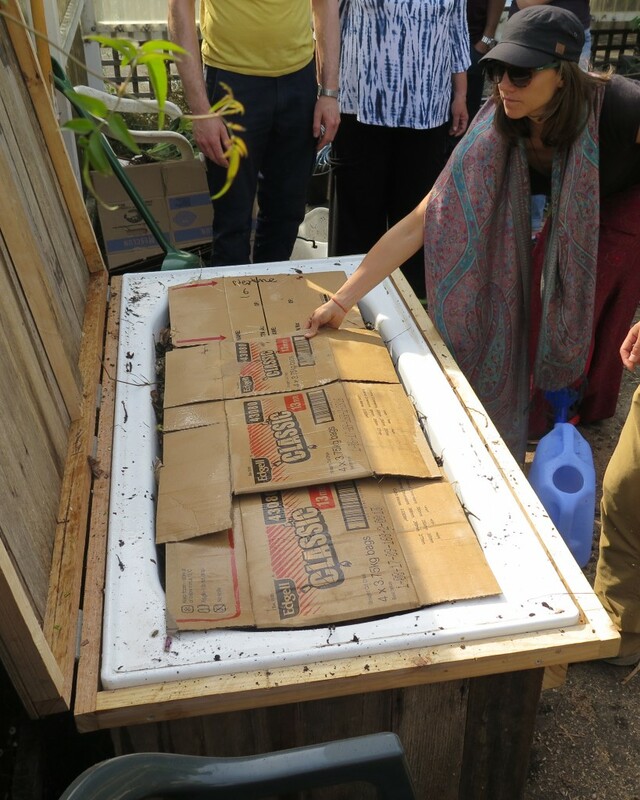 The compost layer stays a more moist and stable temperature under the paper layer. 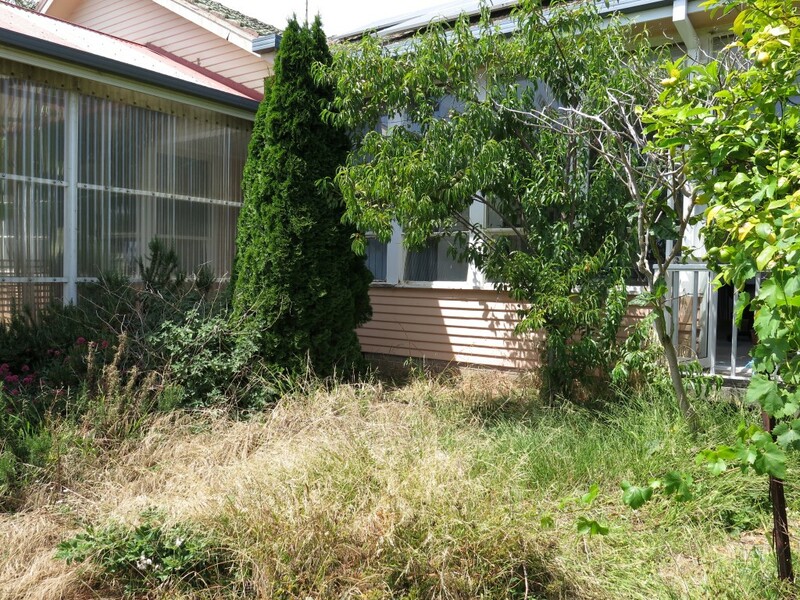 The newspaper layer prevents weeds from growing in your garden, including the unwanted seeds from your compost. (Unless you are a master composter, there will be seeds in your compost). 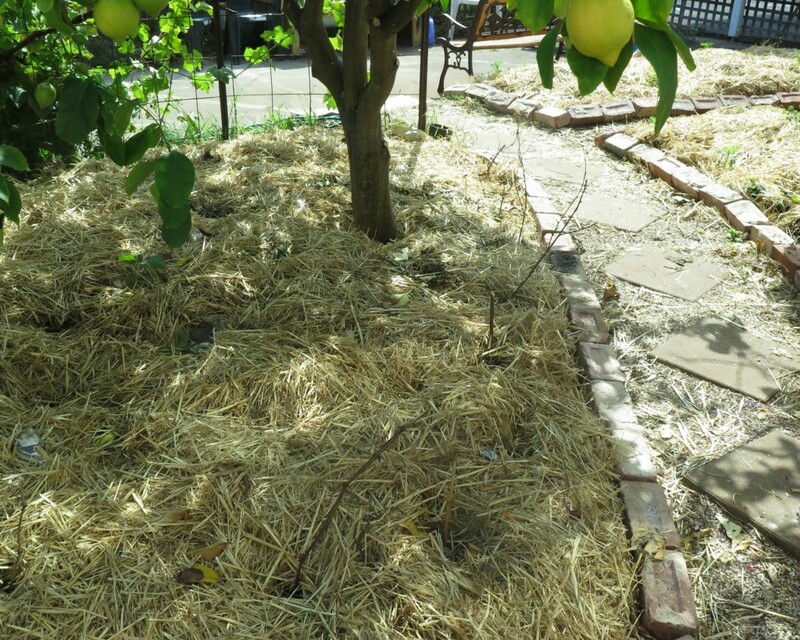 Less nutrients from the compost are evaporated and lost. 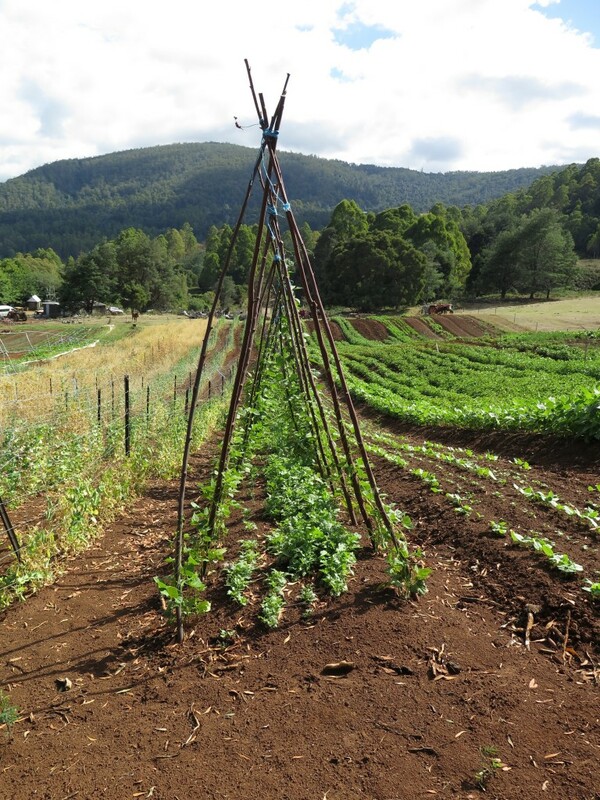 Roots of plants can penetrate directly into the soil so stay hydrated longer, can access minerals and have increased resilience and stability. We had a ready supply of horse poo from a local (thanks Caroline), so used this despite it having a high grass see content. Putting the soaked cardboard on top (directly under the final mulch layer) will stop the majority of this seed popping up. 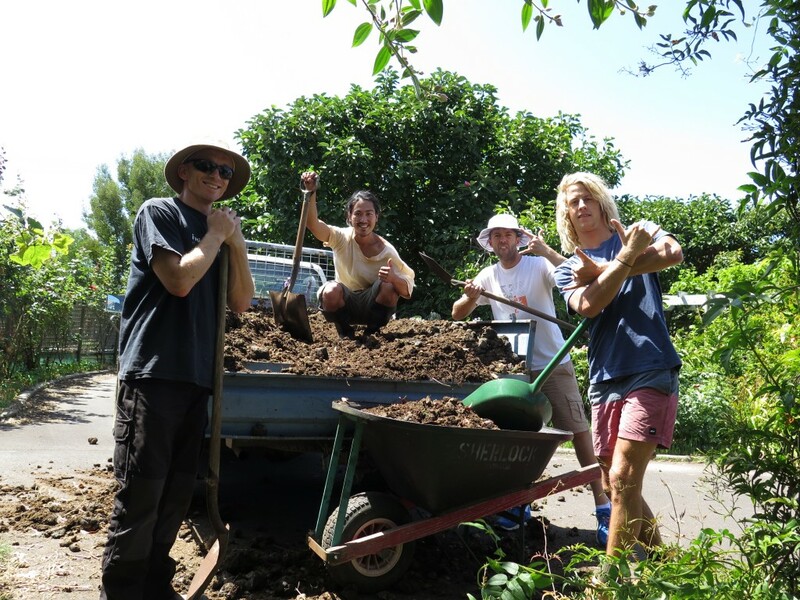 The poo crew (Brad, Shu, Graham & James) smashing it. 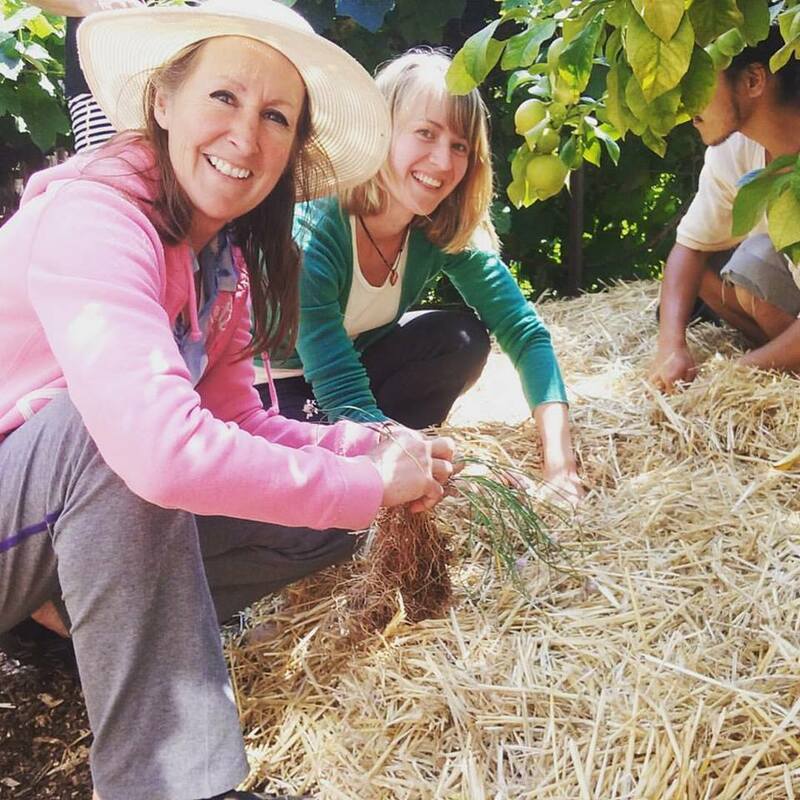 To top the whole garden off, we put a thick layer of straw on to keep moisture in and inject even more organic matter into the soil. We planted the garden pretty much straight away. 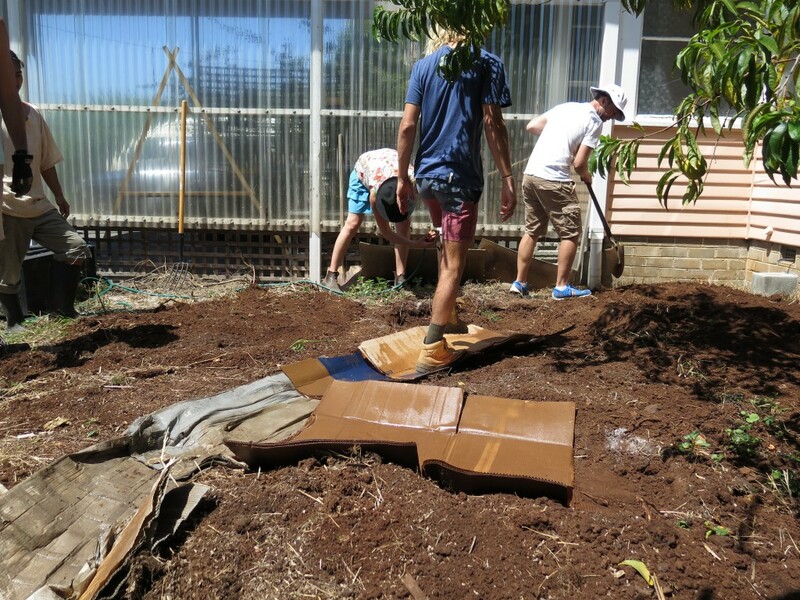 To do this, we punched holes through the cardboard exactly where we wanted the plants, added a small handful of mature compost, mixed this in with the horse poo and original soil and watered it all in. 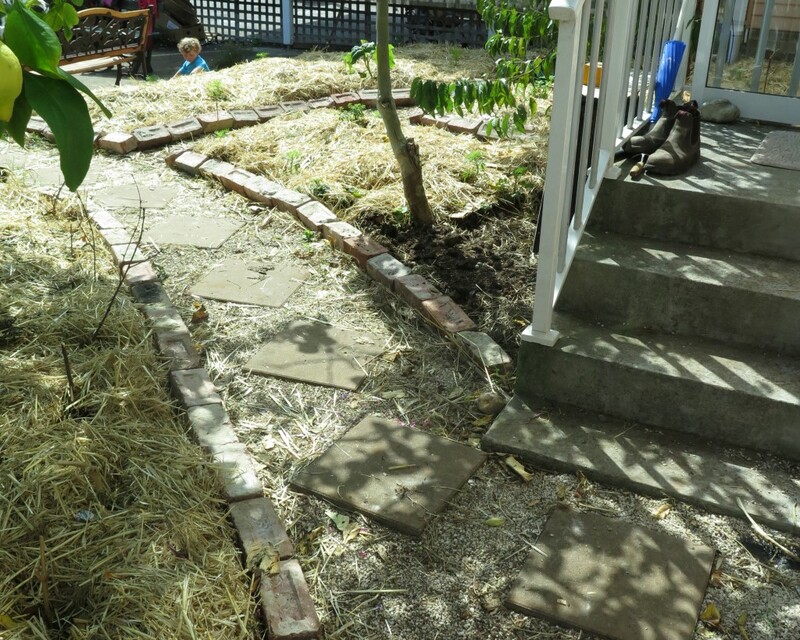 We put some simple edging of recycled bricks around the whole space to contain it and planted the gardens out with a range of herbs and beneficial plants. Beneath the existing lemon tree we planted a border of garlic chives, a ring of clumping comfrey directly around the base of the lemon and the rest to nasturtiums, calendula and borage. A nice little guild of multi-functional plants, all useful, all beautiful. 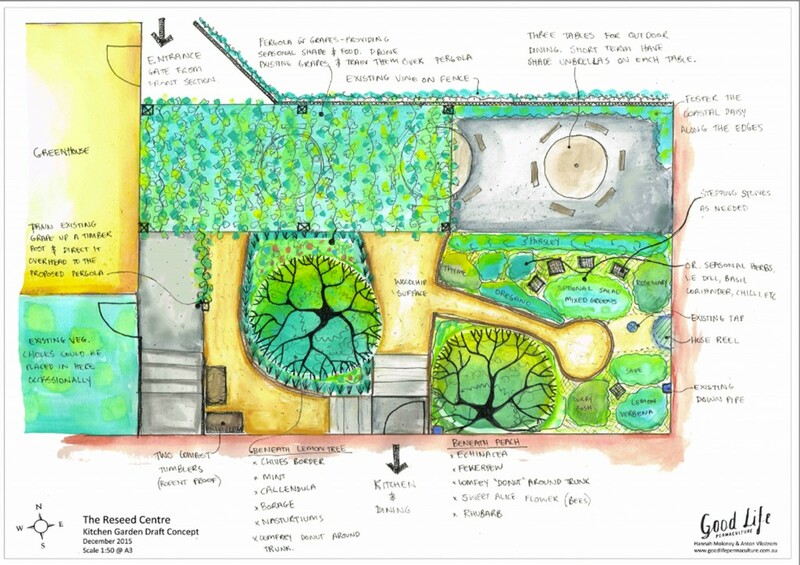 The keyhole path creates the shape of the main herb garden, allowing easy access to all points of the garden. 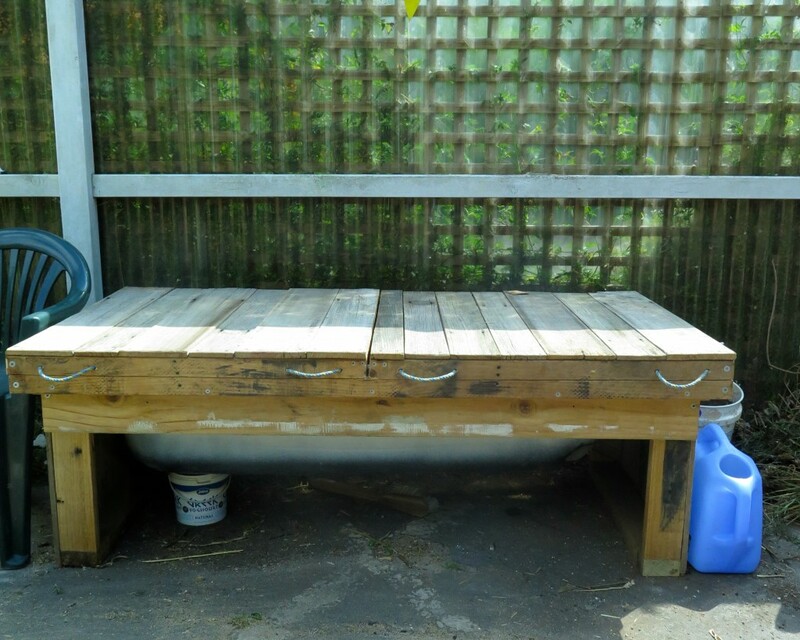 We also made a worm farm seat to cycle nutrients from the kitchen and provide a bit of social infrastructure for the outdoor dining room. You can read about how we did this here. Blake demonstrating the radness of the worm farm seat. 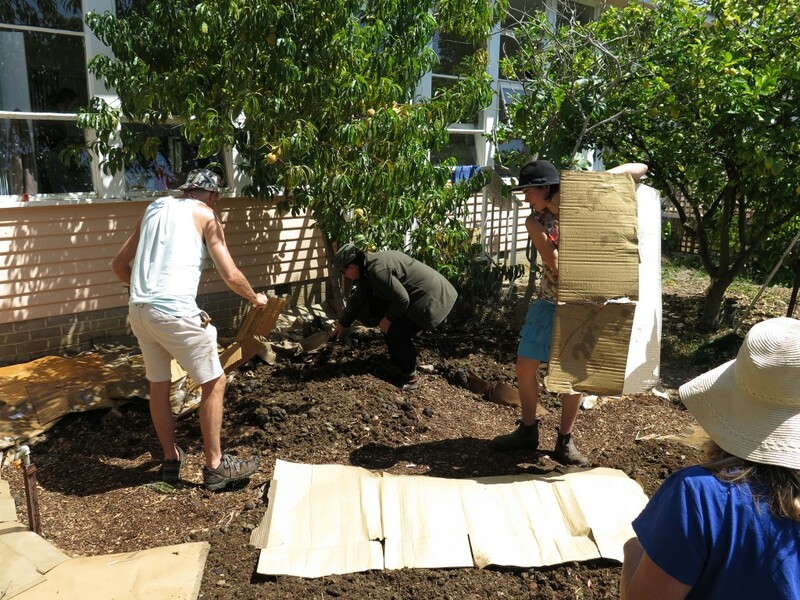 While our Permaculture Design Courses are very much focused on design and not building garden beds, this was a valuable process to take our students through. We got to explain the design we did for this space, talk through our reasoning, implement it and then enjoy the space we created. A fantastic learning process and a beautiful legacy for this group of spunks to leave behind! 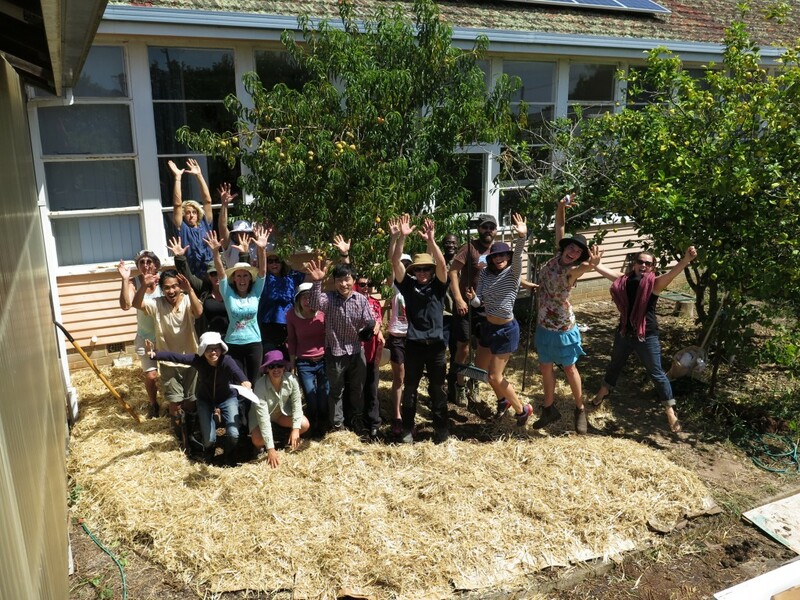 Interested in doing one of our Permaculture Design Courses? Check out our next one here. 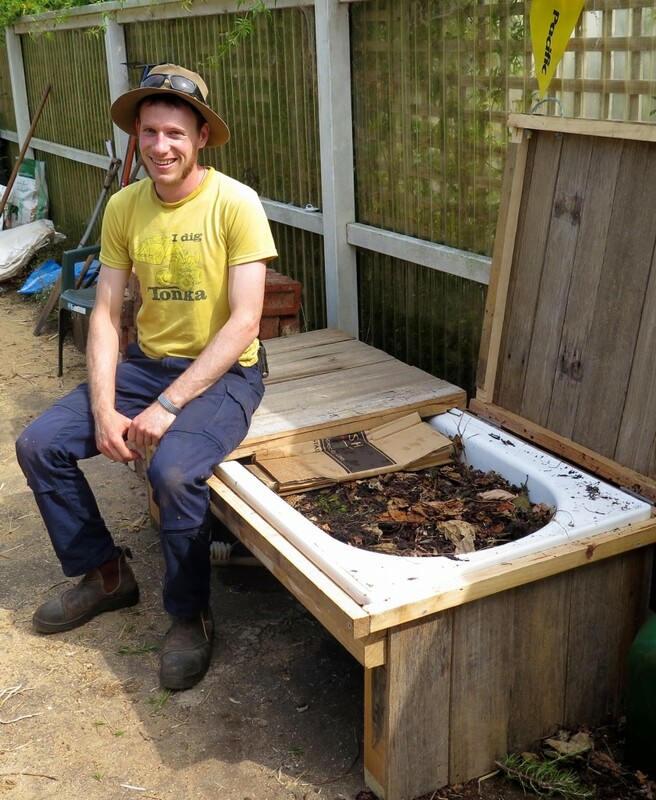 Inspired by a photo (seen below) we saw from our mates who used to run Urban Bush Carpenters, I organised a worm farm seat to be made at our recent Permaculture Design Course by our *wonderful* Course Coordinator, Blake Harder. 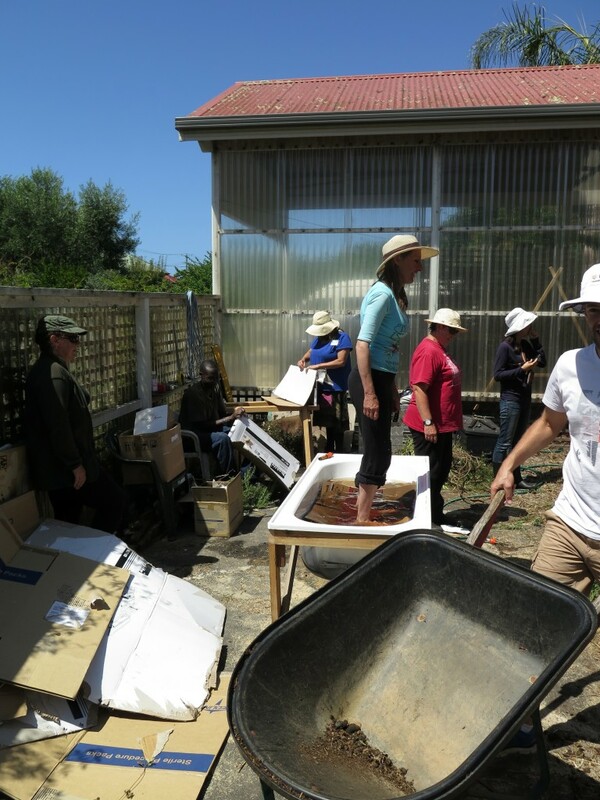 The key functions of this particular worm farm are to process food scraps from the kitchen – providing worm castings and worm wee for the kitchen garden nearby. It’s also central to the social area that’s integrated into the same area, providing a big comfy seat for a few people to hang out on. 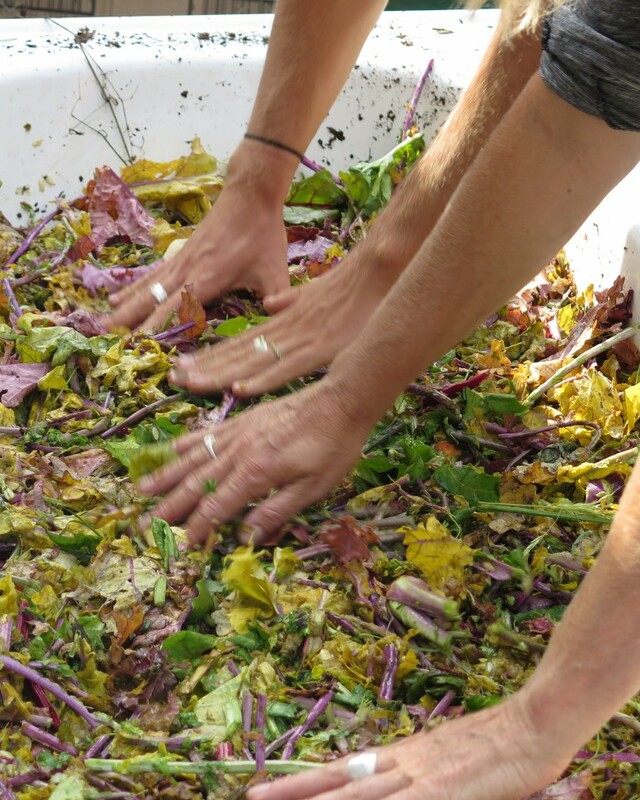 In case you don’t know about compost worms yet, they’re highly beneficial for the soil and food crops – you can read about them here. In short, they’re awesome and you want them. After watching Blake build the worm farm between classes, the students finally got to come out and help finish it off. Blake thought it best to surprise them all by hiding in the empty worm farm and jumping out at just the right moment. It was a very, very good surprise. 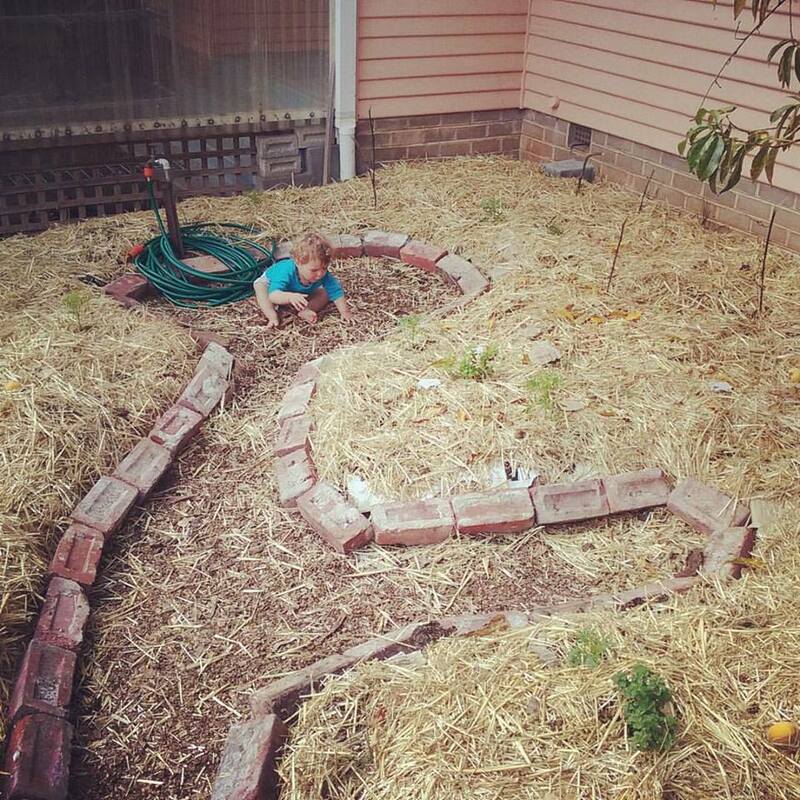 Crucial to a good worm farm is drainage. 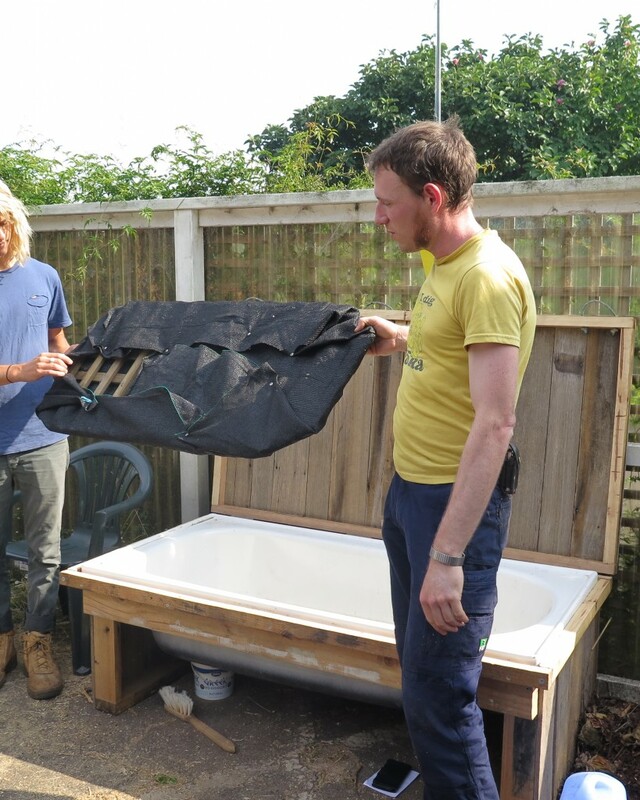 Blake made a false floor out of lattice and shade cloth which is cut to the right size that it can wedge into the bathtub nicely, leaving a gap that’s approximately 10cm deep, plenty of room for the worm wee to travel through the plug hole and letting in good air to the system. 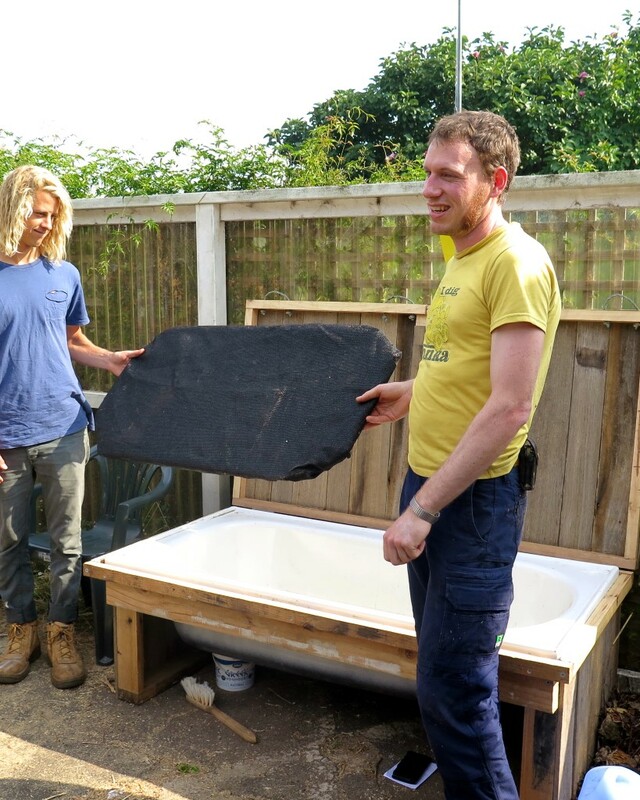 James and Blake showcasing the false floor which is cut to just the right size so it wedges into the bath tub, approximately 10cm from the bottom. 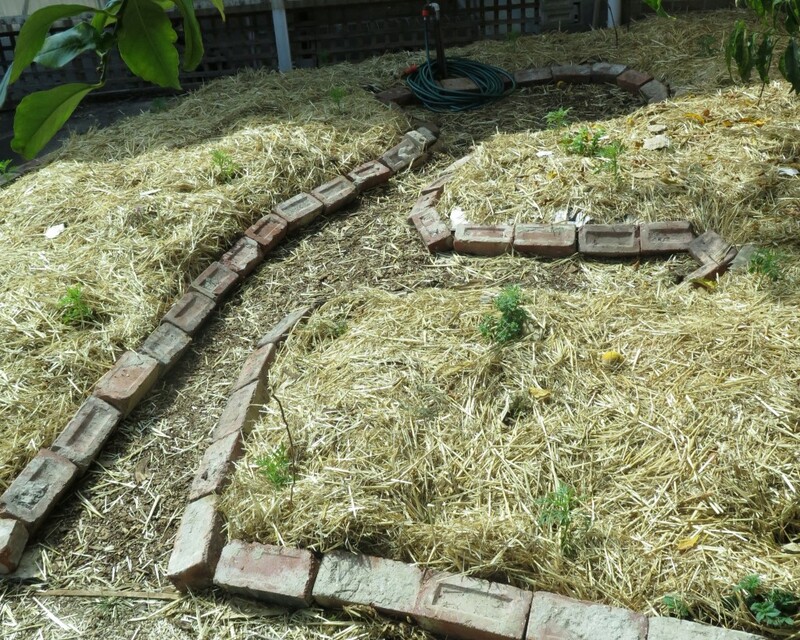 The next step is to fill the worm farm with a range of organic matter. I’ve seen worm farms with only cow poo/horse poo, so it’s not essential to have diverse ingredients, but I prefer diversity at every opportunity. 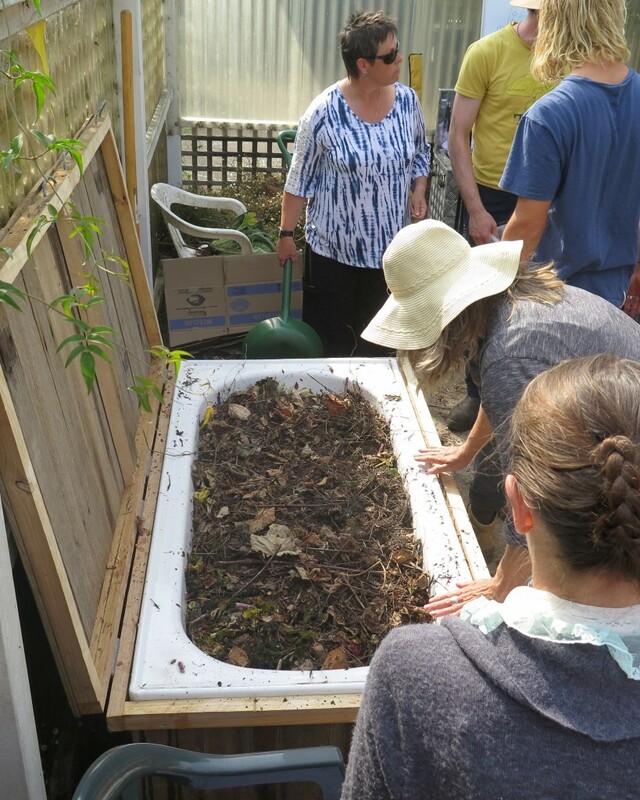 With this in mind, we filled the worm farm with leaf litter, some half composted organic matter, mixed greens from the kitchen and water. 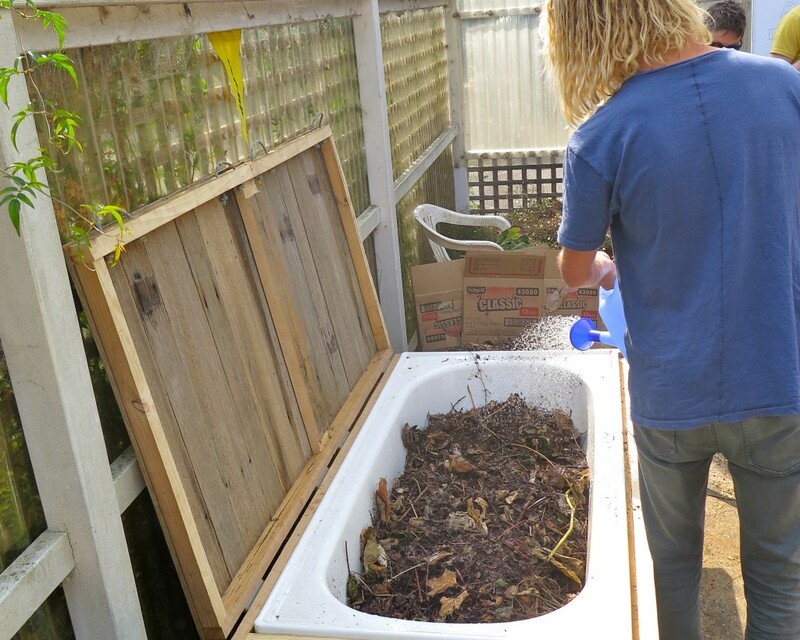 We emptied the compost worms into the top of the bath and quickly covered them as they hate sunlight. So quickly, I didn’t get a chance to get their photo. Bummer. 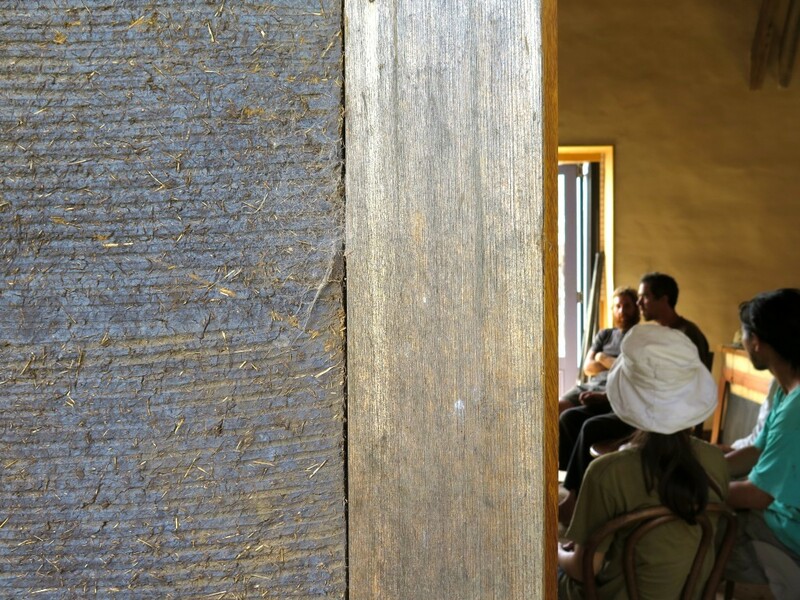 To help moderate the moisture and temperature levels, we put a simple layer of damp cardboard on top. 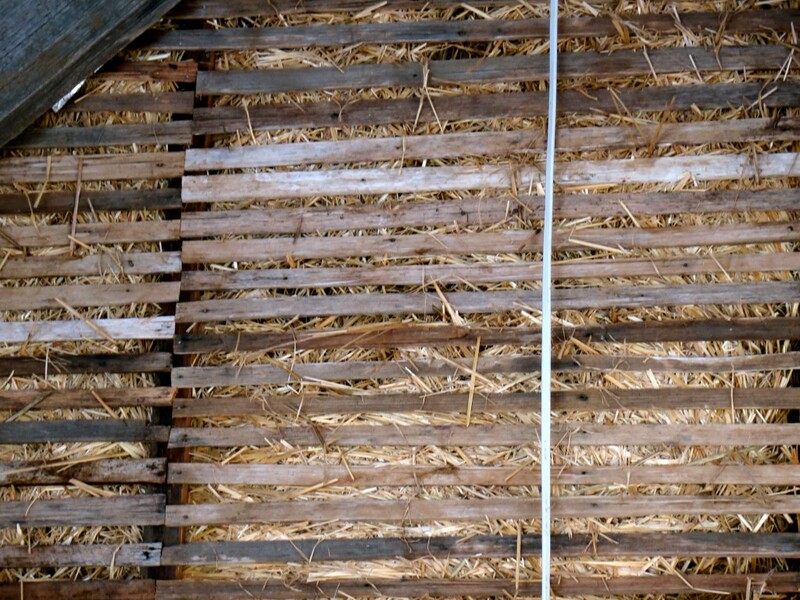 You could also use newspaper, hessian or thick pads of straw. I generally recommend against using carpet as most modern carpet has heavy glues in it which will harm the worms. Directly below the bathtub’s plug hole sits a bucket to collect the “worm wee” which can then be diluted and placed on the garden. 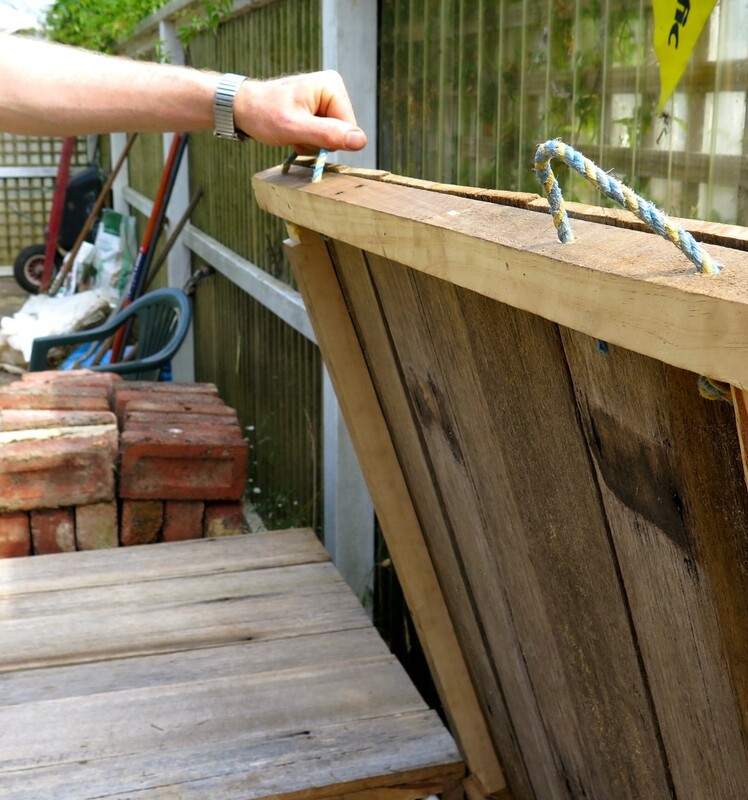 You could build your worm farm slightly higher so you can have a large bucket beneath it, or find a bucket with a bigger capacity (and is still short) – whatever works for you. Some nifty handles made from old rope. Easy! The finished product. 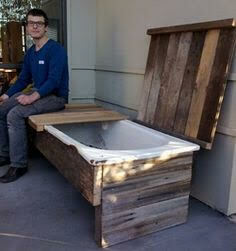 We’re in love with this design and are looking at making our own version suited to our home. 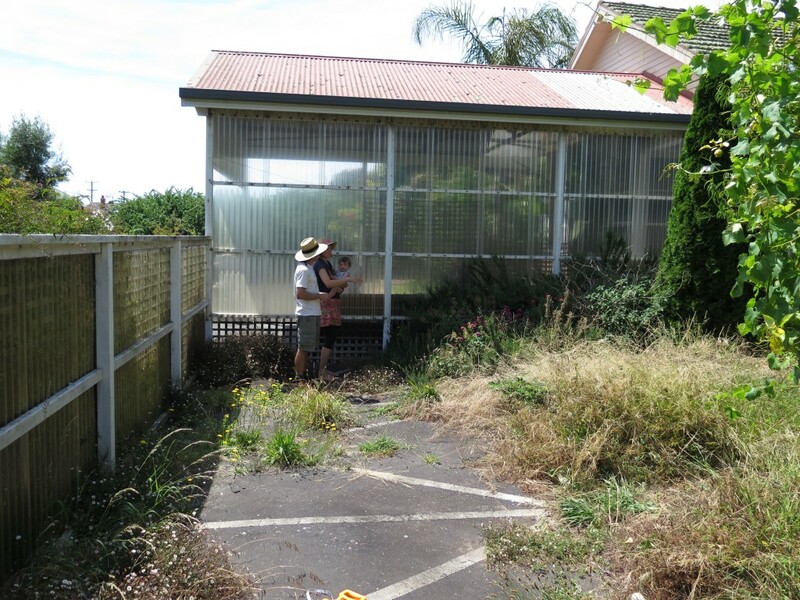 We’re also a big fan of Blake, he’s an absolute legend, a highly organised, passionate, “can-do” permaculturalist – our kind of guy. If you need help with almost anything, we can’t recommend him high enough. 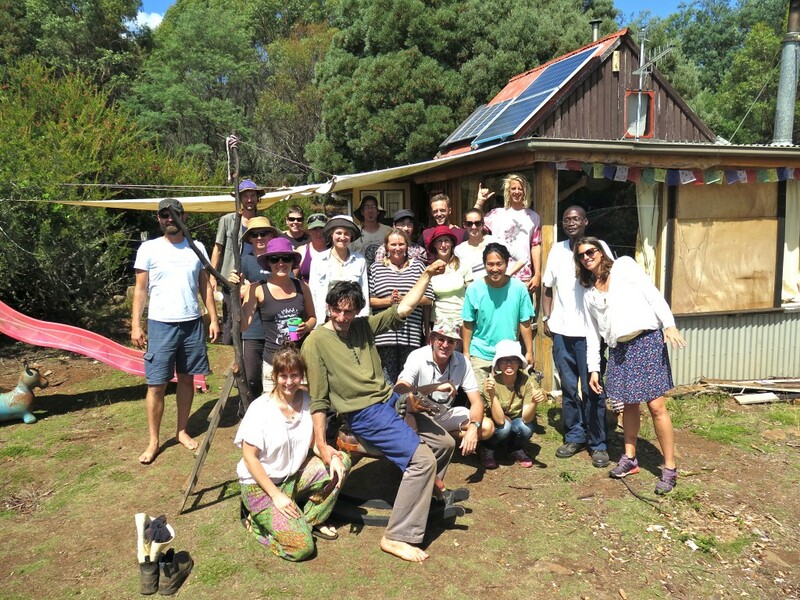 We’ve just taken our Permaculture Design Course students to a small town called Lorinna, a place which is beyond unique. 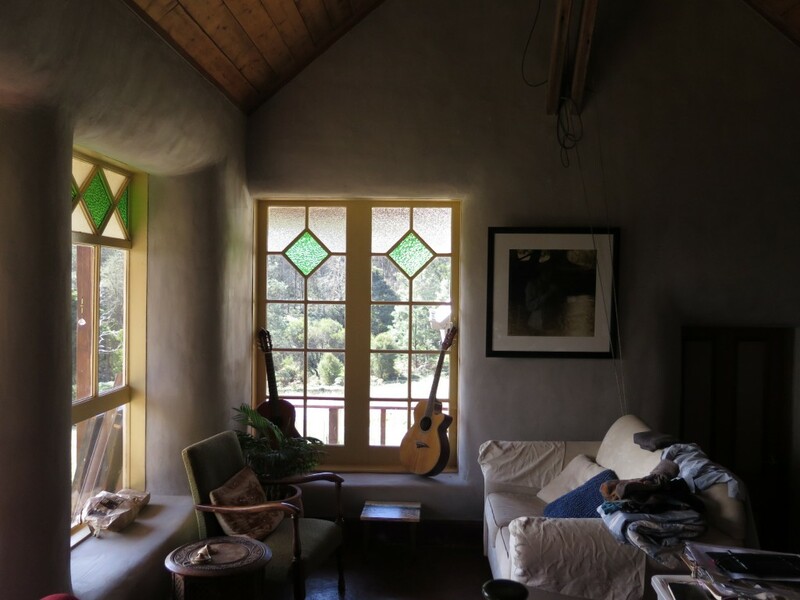 Approximately 100 folks live here and a lot of them are aligned in how they choose to live life – mainly locally, sustainably, creatively and abundantly. 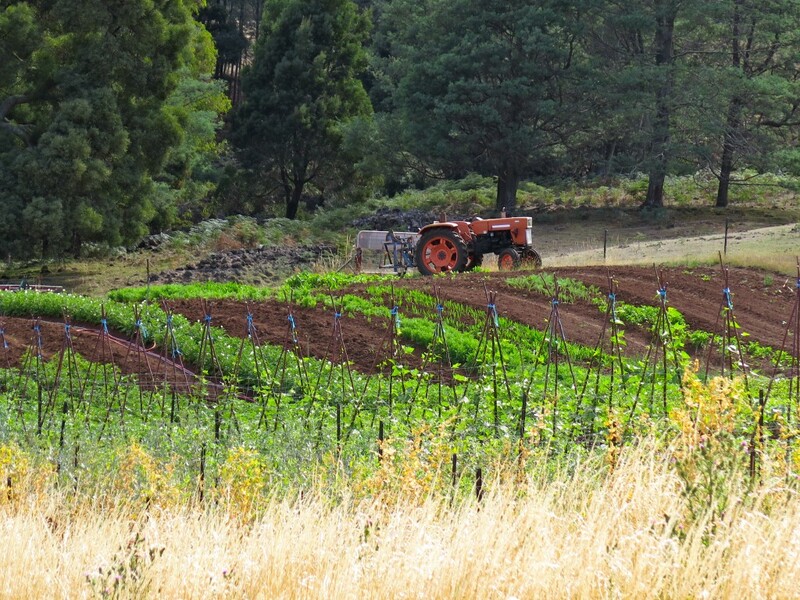 Within the valley all types of produce is grown and raised including meat, grain, fruit and vegetables in both home and market gardens. 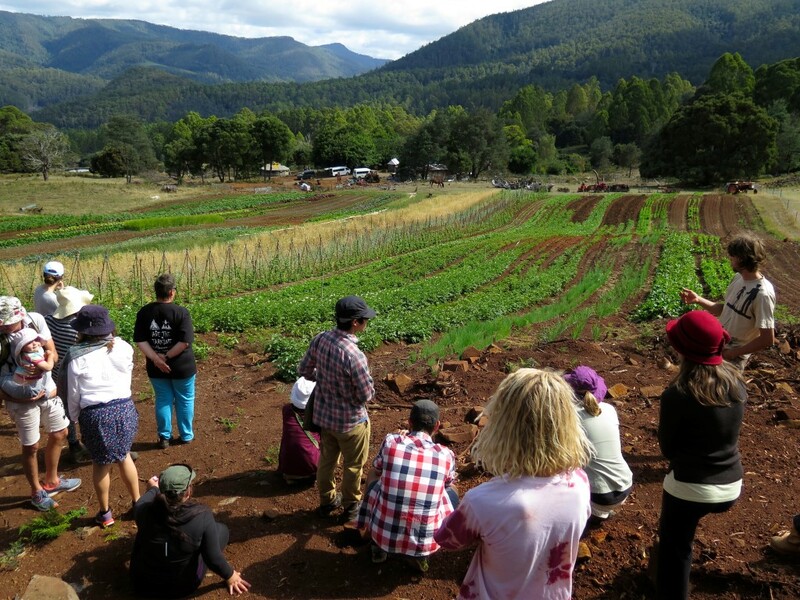 A local food co-op lives at the community hall and an annual harvest feast marks the seasons and brings people together. It’s a special place. 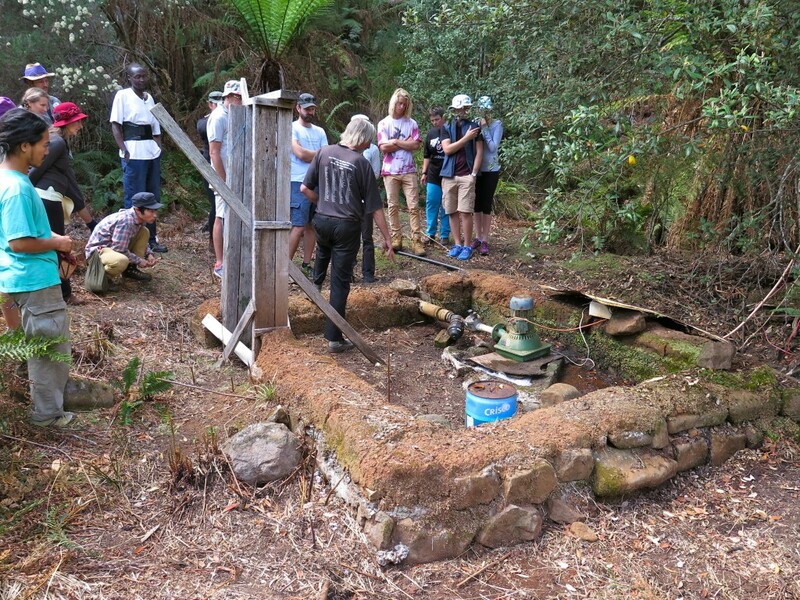 Our first stop for the day was Seven Springs Farm, established and run by Wouter and Elise. 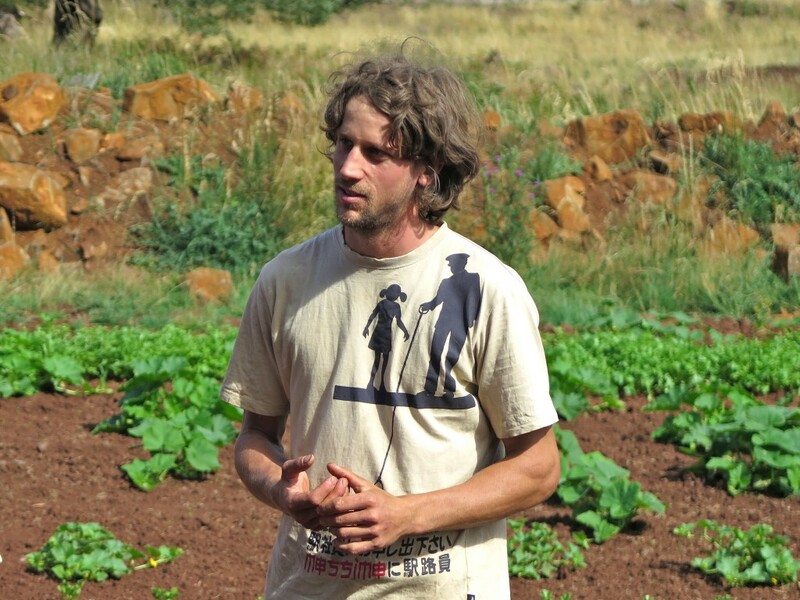 Wouter is originally from Belgium and has a long history in farming, specifically community supported agriculture. His depth of knowledge is incredibly valuable and his work ethic is out of this world – this guy is cranking it. 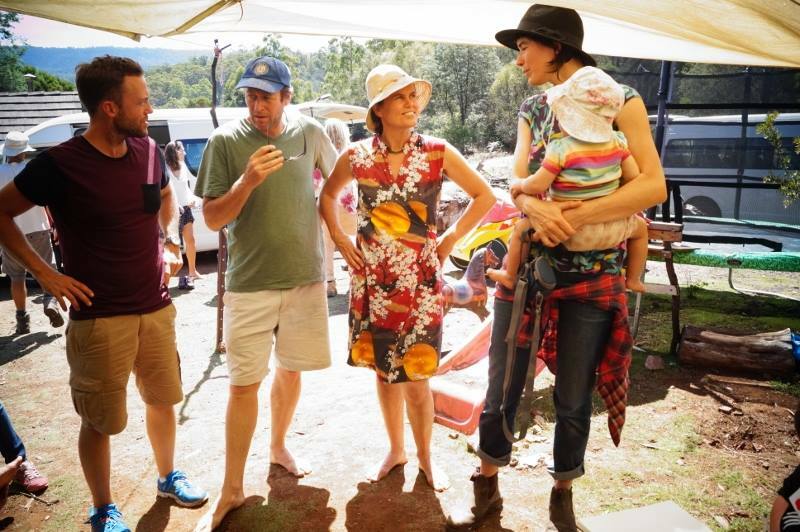 They have a weekly stall at Launceston’s Harvest Feast market and supply local residents with some of the finest food around. They grow up to 70 different crops and only use heirloom and open-pollinated varieties to ensure high quality produce with great flavour. 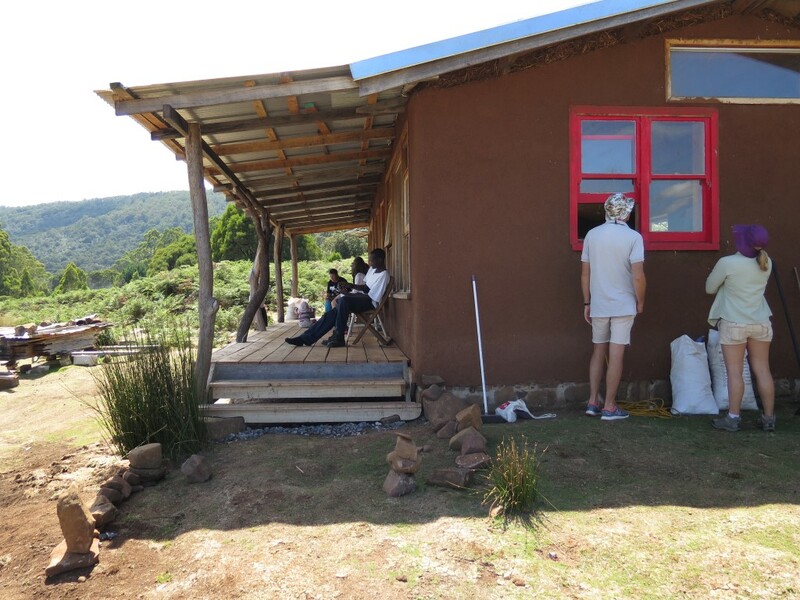 All their seedlings, potting mixes, solar and micro-hydro electricity are all produced on farm. They save seed and propagate their own vegetable varieties, with particular pride in Wouter’s Belgian cauliflower and leek. Our second stop was Annie and Bart’s home. These folks moved to Lorinna in the 1970s and some of the key people who make this place what it is. 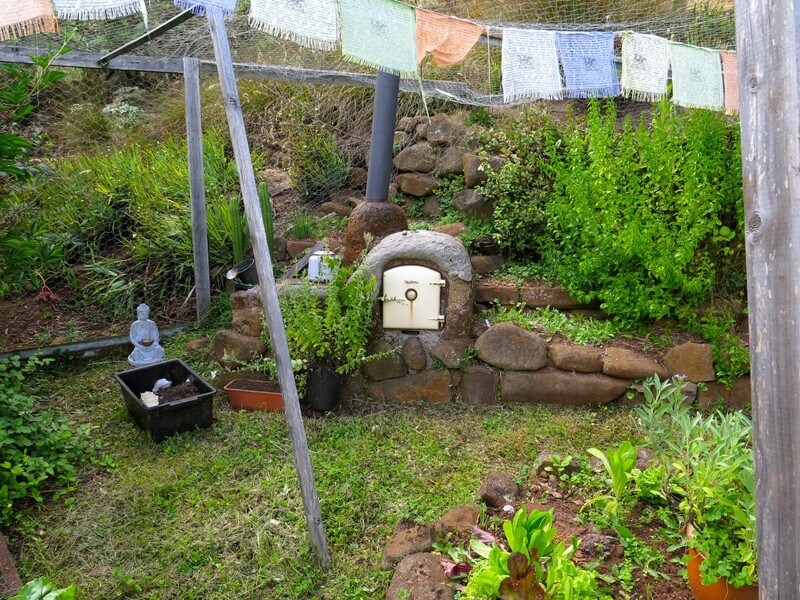 Particular highlights included their kitchen garden which is wrapped around part of their house (specifically their kitchen). 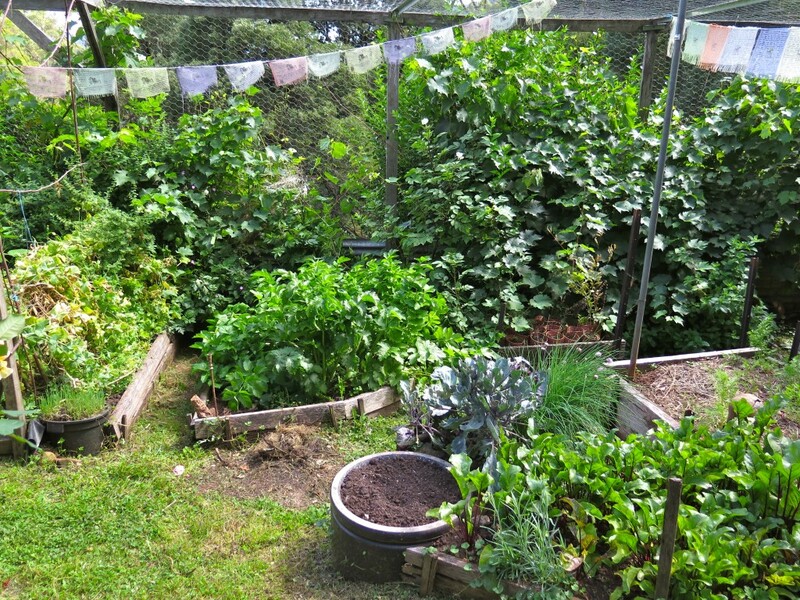 It’s a pumping, vibrant little space overflowing with edibles and beautifuls. 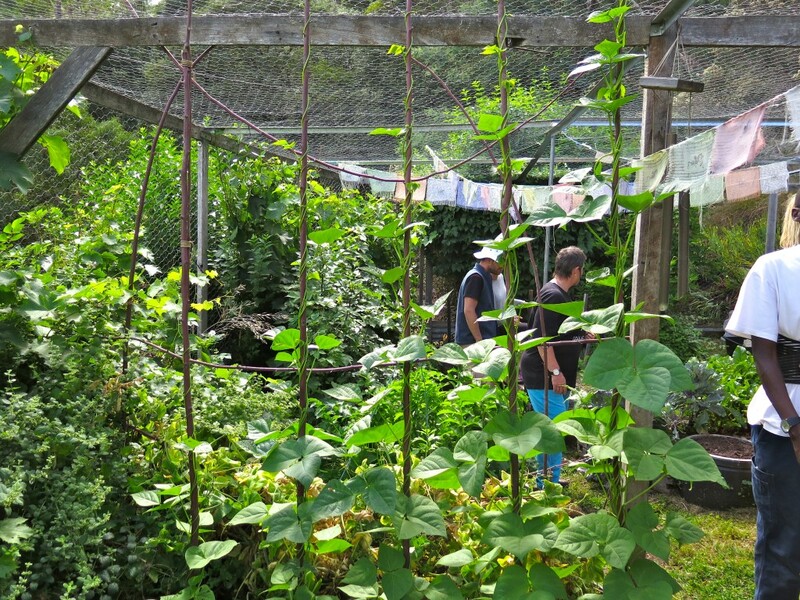 They also have a small glasshouse where they grow exciting things like ginger, that’s right *ginger*. Need proof? See the photo below with a proud Annie standing next to it. 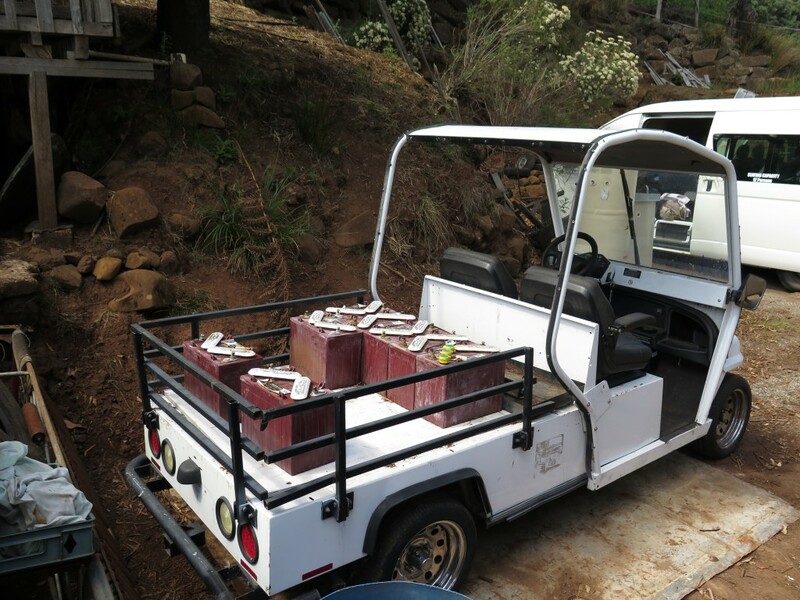 Bart drives the renewable energy on the property (and throughout the valley). 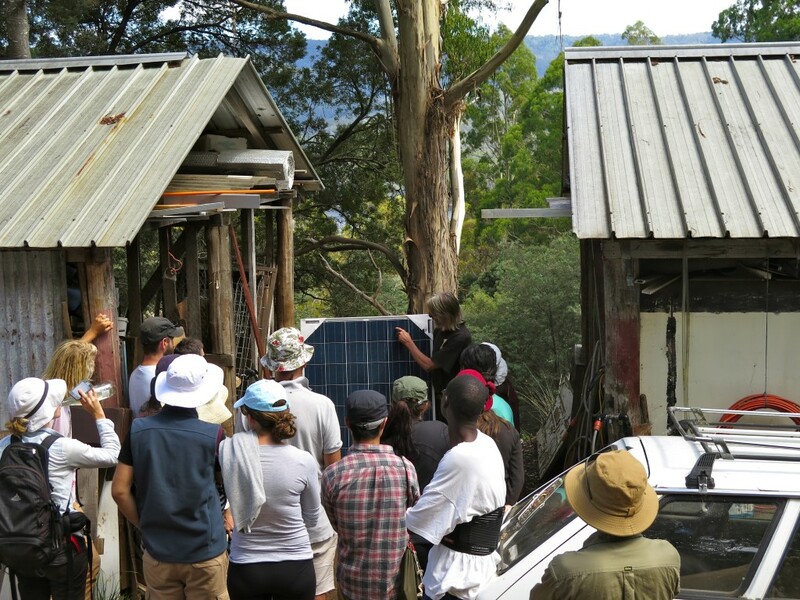 They have solar, micro hydro and timber as their energy sources. 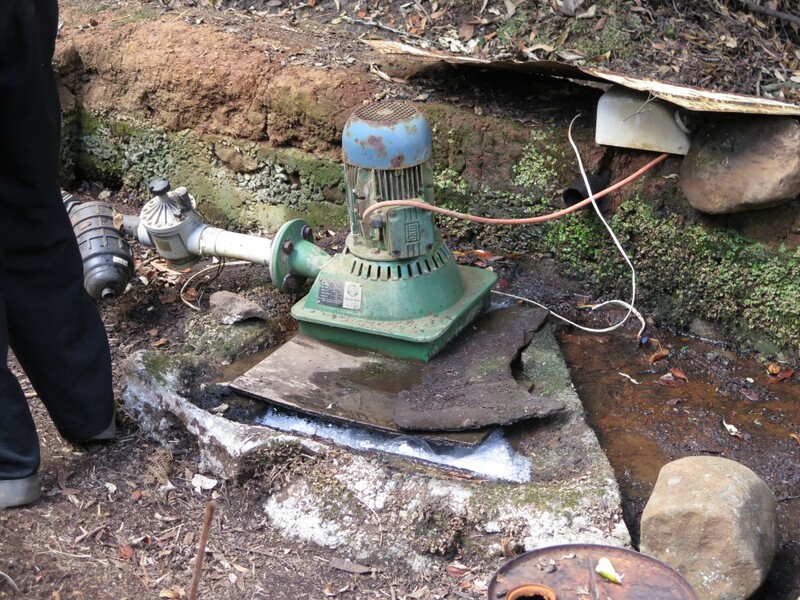 By not relying on just one type of energy they ensure they never run out. 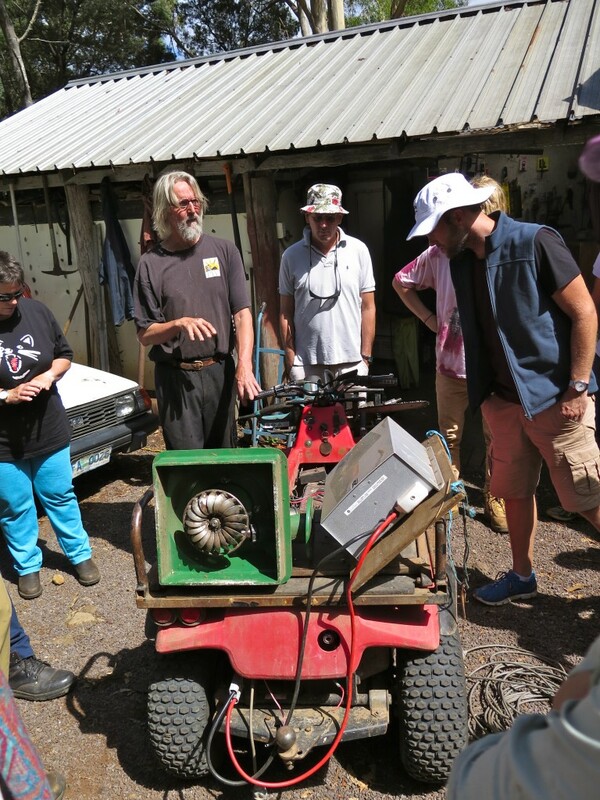 Above and below you can see one of their electric quad bikes and golf buggies they use to get around the valley, they’ve retrofitted these themselves to be 100% electric. I want one. 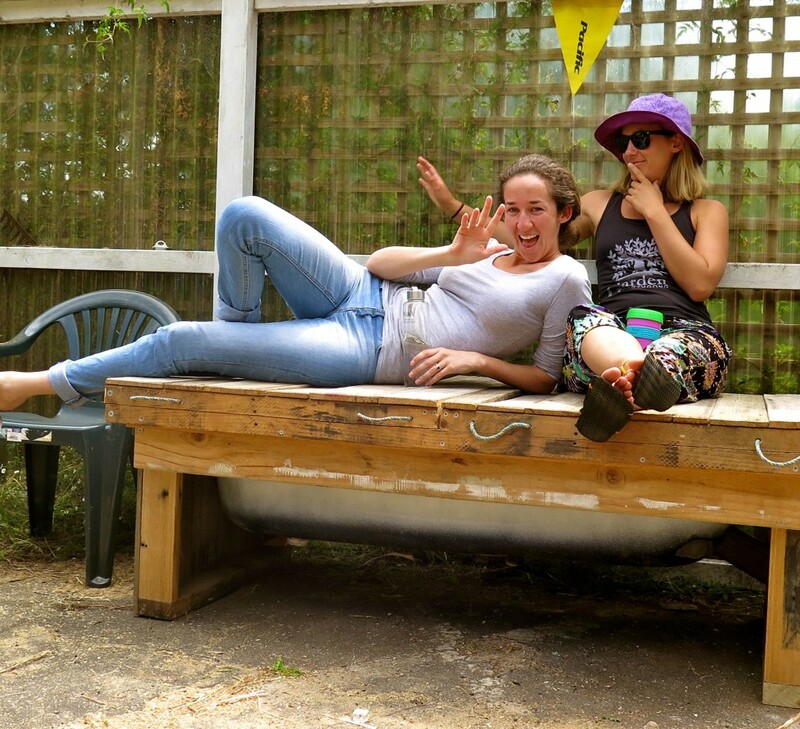 We ate our lunch in ‘the studio’, a space in the process of being built (almost finished) by a range of people as a shared space for good things to happen – like a bunch of permaculture students coming over to eat lunch and chew the fat. 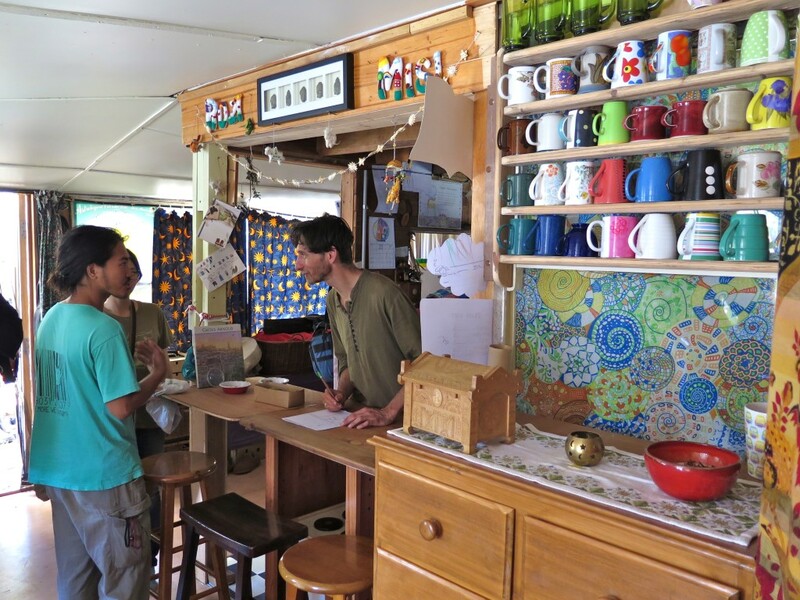 We capped off lunch with a short stop at the Mug Wall Cafe – a social permaculture initiative run by Tamas and Linda from their little house once a week on Sundays. 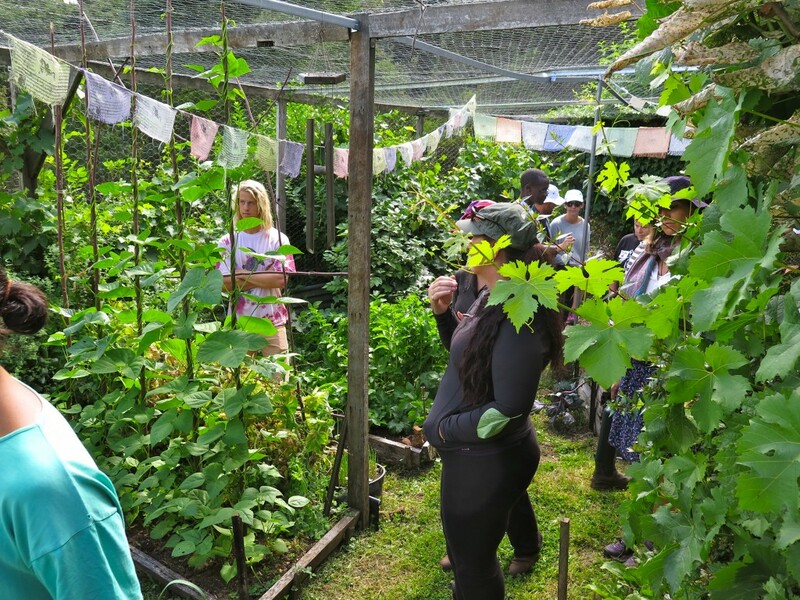 This ace little venture is a project which forms part of Tamas’s PhD research, investigating how permaculture principles can also be living art with a key focus of engaging people to build community connections. Our final stop for the day was Lance and Olga’s home. I feel pretty confident in saying that Lance is one of the best earth builders in Australia. His attention to detail, passion and skill is renowned throughout the Tasmania and people who want to know about this stuff. They’ve been building their house for the past 14 years. 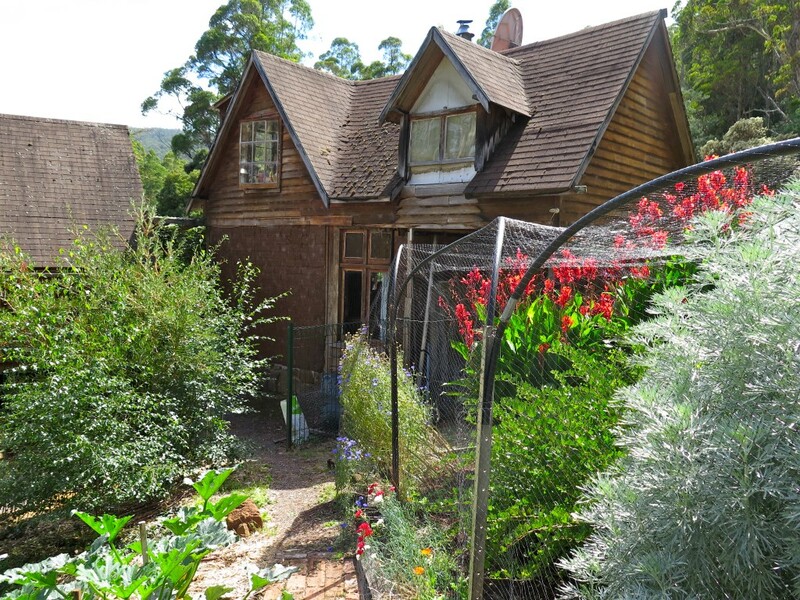 I realise this sounds like a long time, however in this time, Lance has also built a few other house in the valley, worked on numerous demolition and building projects outside Lorinna and chosen to actually rebuild parts of his house as he learned better ways of earth building over the years. He’s very amazing. 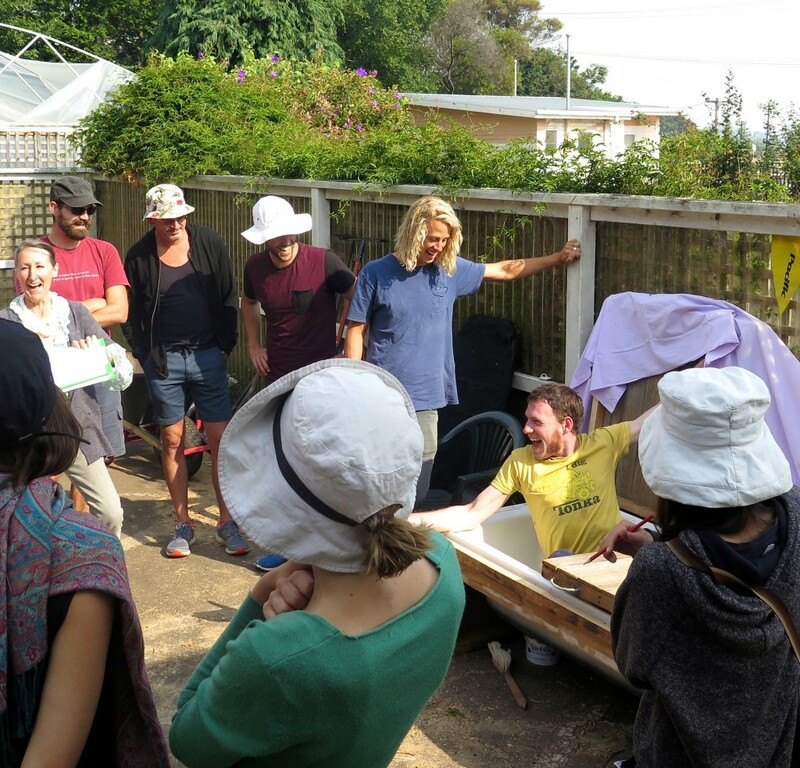 Some particularly interesting and funky things about his building techniques include the fact he ferments his render (often with apples) to make it more resilient and robust – plus it smells sweet, like sourdough bread. 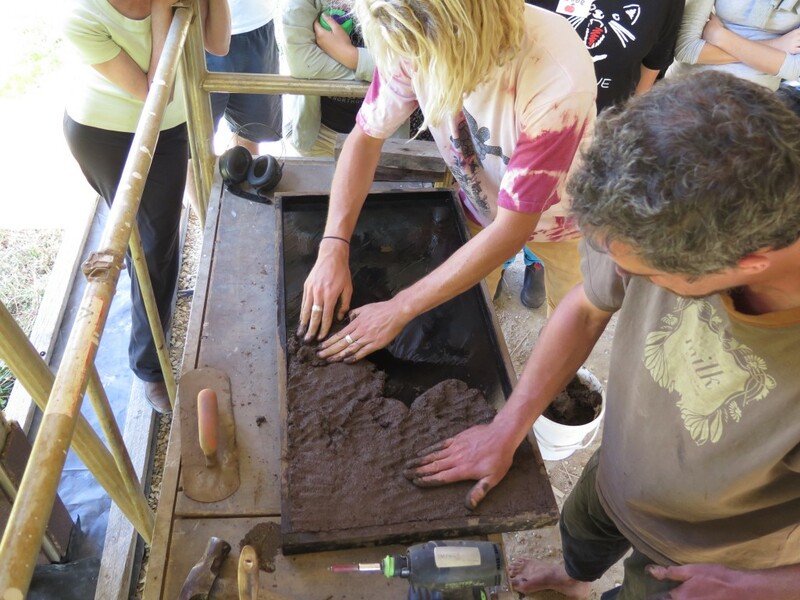 One of his more recent developments is making mud brick tiles for some of their floors instead of solid earth. 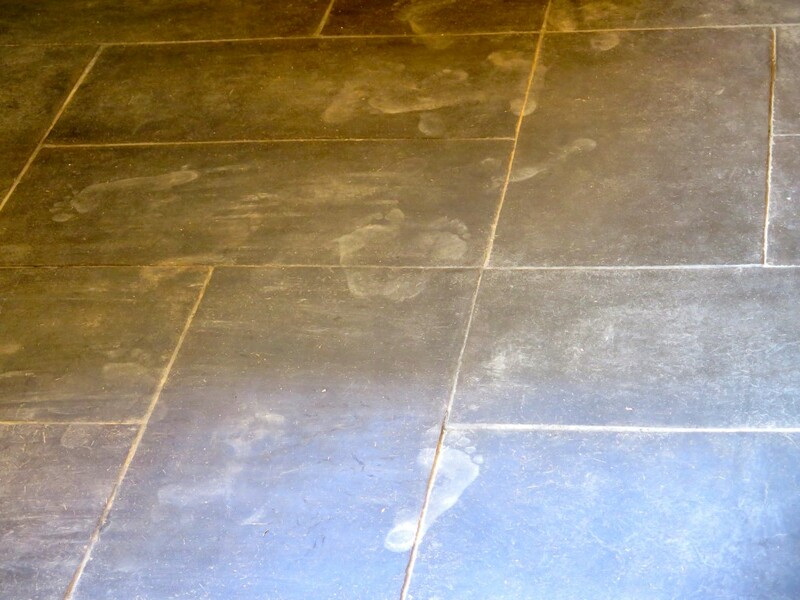 He was drawn to do these as some of his earth floors were consistently cracking despite trying a range of approaches – the tiles are a great solution for this. The section of the house which they’re already living in and is *almost* finished is peaceful, gorgeous and so welcoming that you feel like you’re at home. In fact this is how Lorinna makes me feel, and while I have no plans to move there, I love being able to visit and bring our permaculture students to show another way of life, even if it isn’t the way for them. 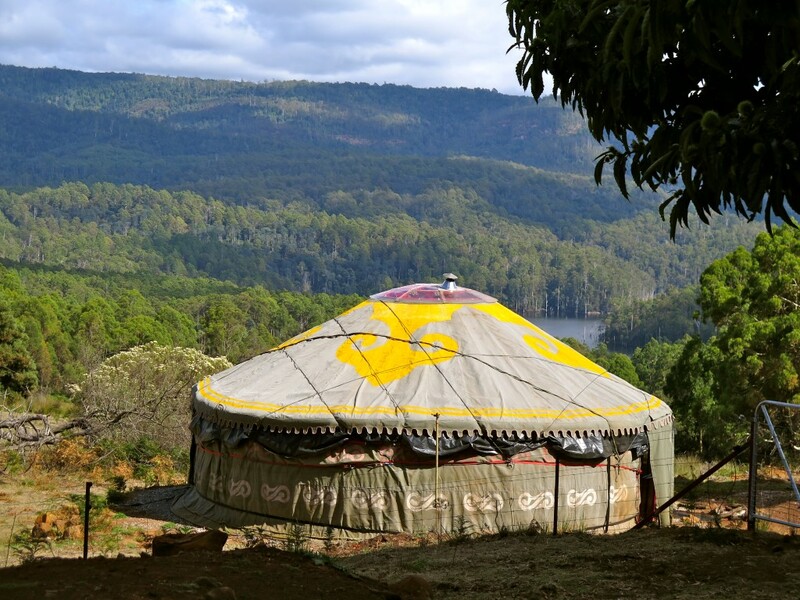 There are so many lessons to learn here about how to live lightly on the earth whether you end up in the city or bush. Thanks for having us Lorinna – you guys rock.